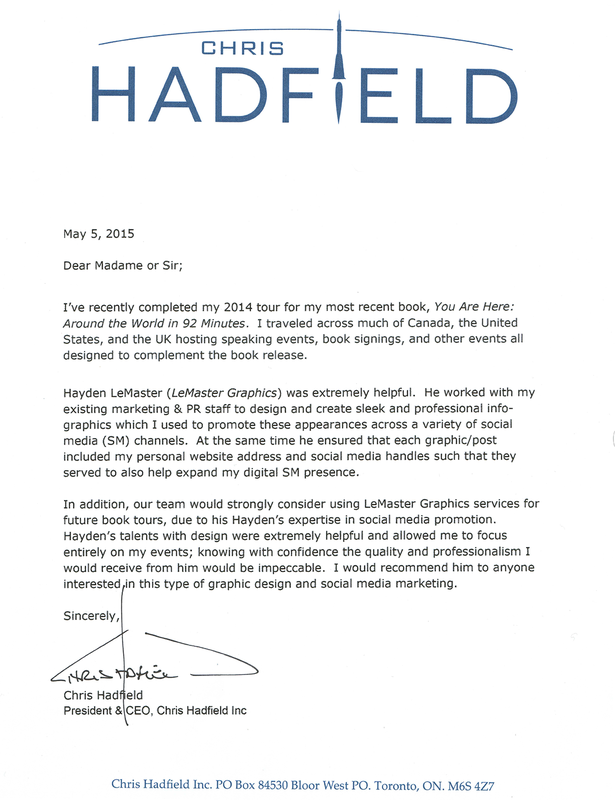 “Our team would strongly consider using LeMaster Graphics’ services for future book tours…knowing with confidence the quality and professionalism I would receive from him would be impeccable. 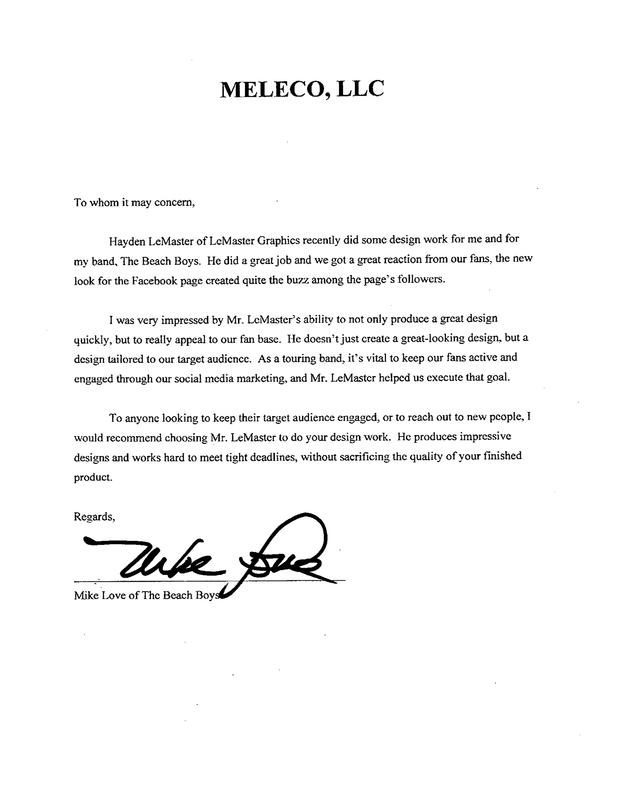 “To anyone looking to keep their target audience engaged, or to reach out to new people, I would recommend choosing Mr. LeMaster to do your design work. 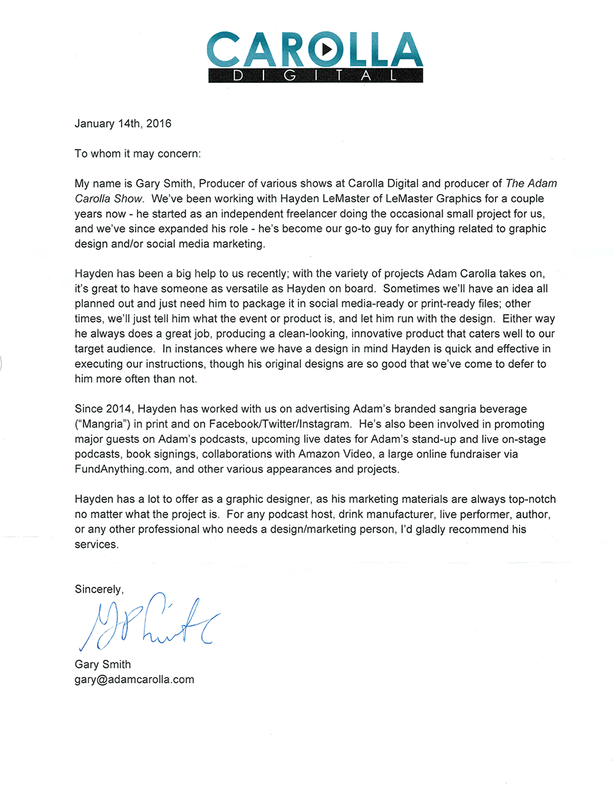 “Hayden LeMaster of LeMaster Graphics has worked with me doing some design work for my website and Facebook page, and he has been a real asset to my marketing efforts. 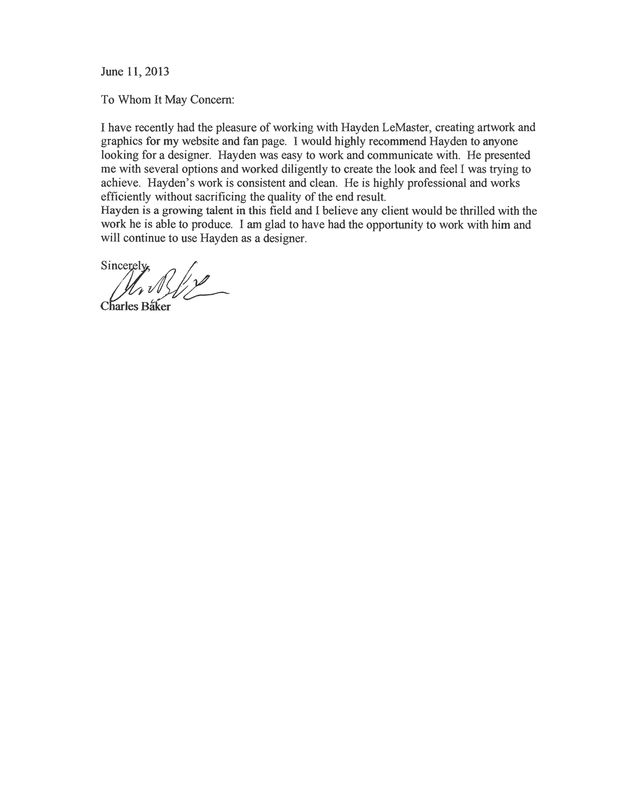 “Hayden [LeMaster] is a growing talent in this field and I believe any client would be thrilled with the work he is able to produce. 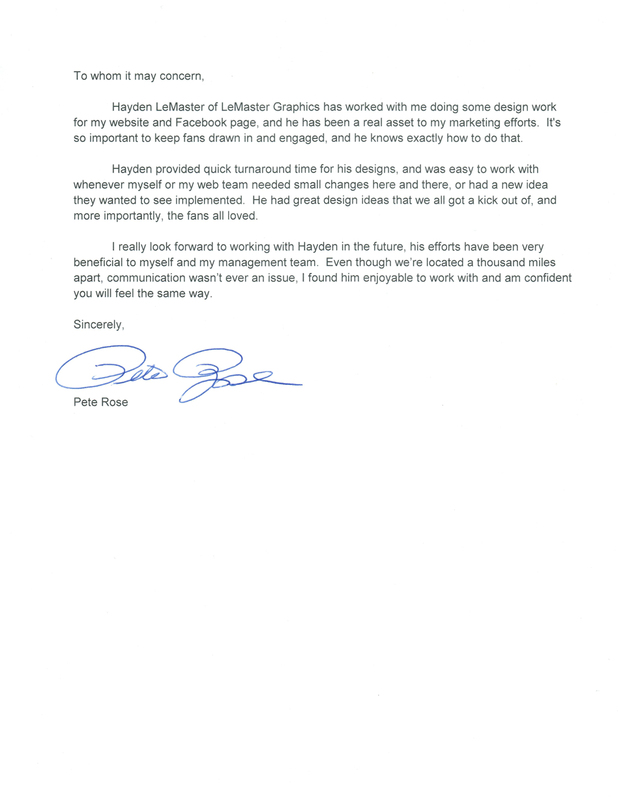 “Hayden listened to me [during my campaign] and brought his technical expertise to bear on the problem. 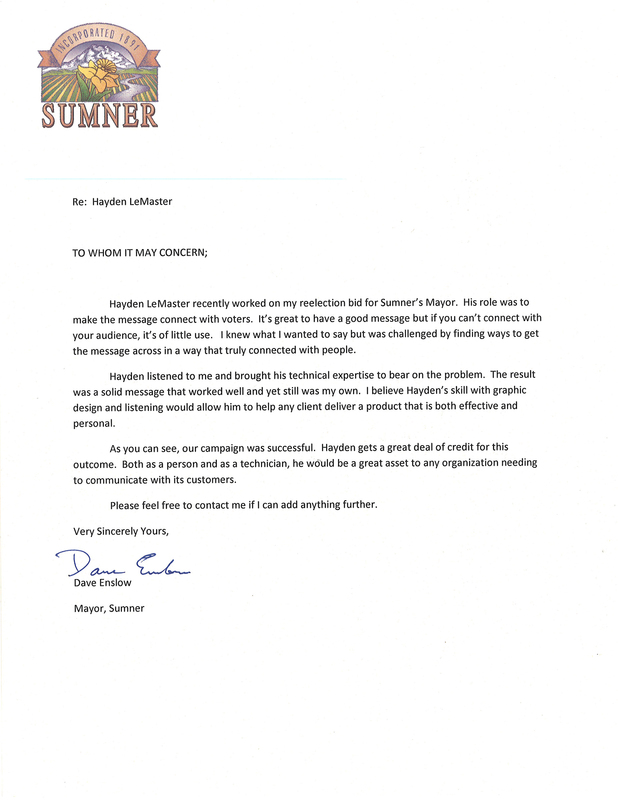 The result was a solid message that worked well yet was still my own. 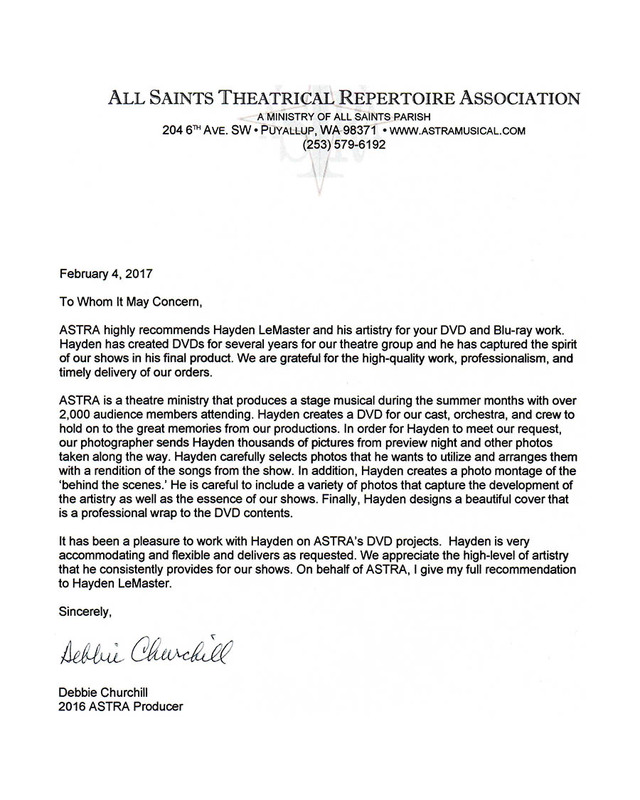 “ASTRA highly recommends Hayden LeMaster and his artistry for your DVD and Blu-Ray work. Hayden has created DVDs for several years for our theatre group and he has captured the spirit of our shows in his final product.